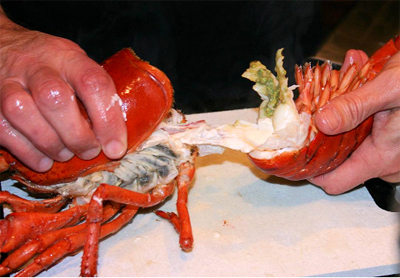 Step 1: Hold the body of lobster and twist each arm, until it easily breaks away form the lobster. 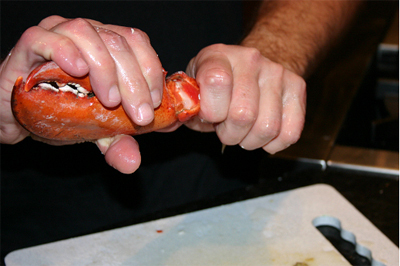 Step 2: Twist, or crack all joints within arm and remove meat from inside. 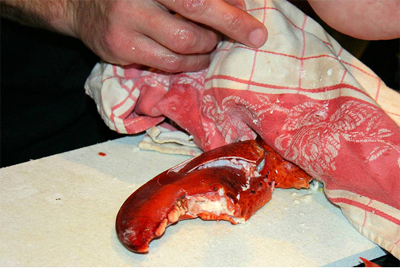 Step 4: Cover claw with a towel and with the palm of your hand hit the claw three times. 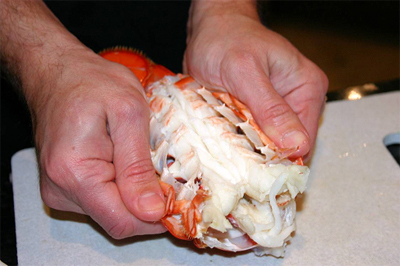 That should crack the claw shell and let you easily remove the meat. 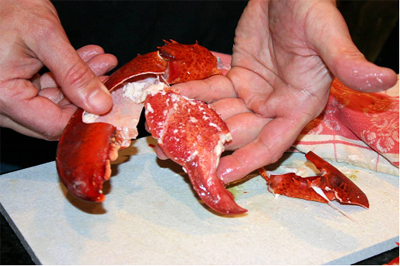 Step 5: Remove claw from shell, you may have to rinse. 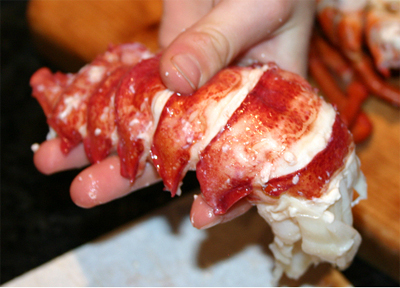 Step 6: Twist tail from the base of the lobster. Rinse to remove any of the green part. 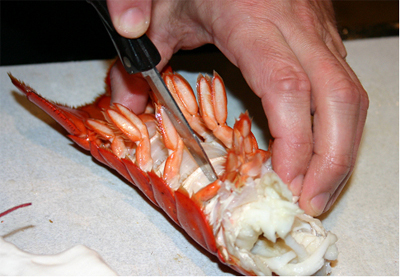 Step 7: With a sharp knife or shearing scissors cut through the tail shell. 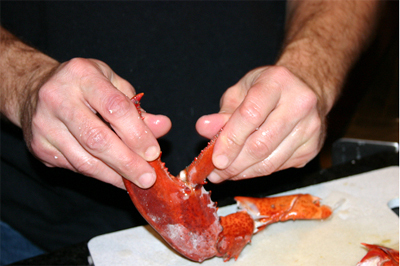 Step 8: Once cut, pull sides of shell back. The tail should pop right out. 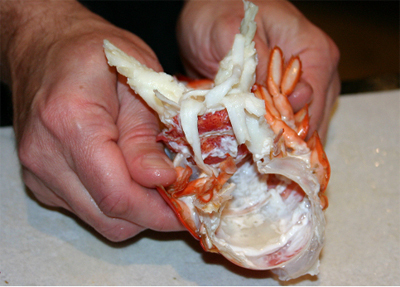 Step 9: Continue pulling sides apart until all of the tail is exposed. 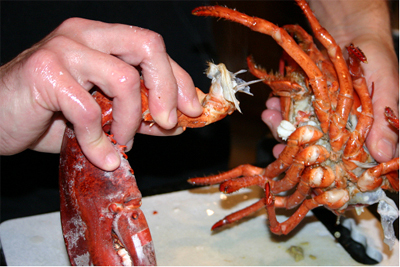 Step 10: Remove tail from shell, rinse, and serve.